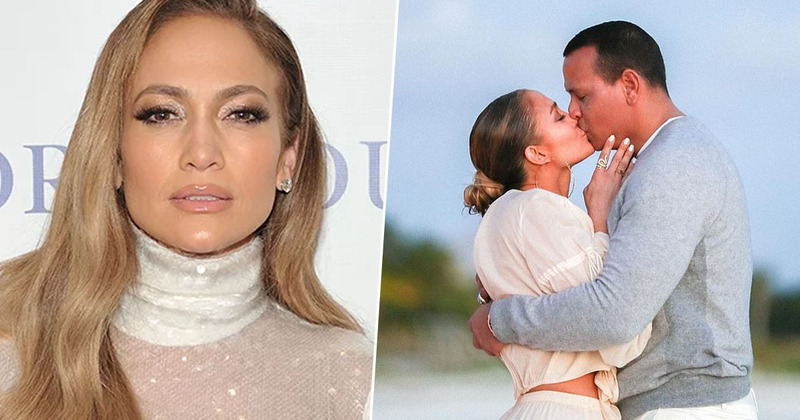 Jennifer Lopez has shared photos of the moment bae Alex Rodriguez proposed to her on a beach in the Bahamas. Former professional baseball player Rodriguez (from here on referred to as A-Rod) proposed to Lopez (aka J-Lo) on Saturday, March 9, getting down on one knee in the sand. The couple announced the exciting news on Instagram the next day, posting a matching photo showing A-Rod tenderly holding J-Lo’s hand in his, a huge emerald cut diamond on her finger. As this is a world famous couple we’re talking about though, you’d better believe that photo isn’t the only one taken of the proposal. Can you imagine? A romantic beach setting, the perfect sunset, basically the perfect opportunity for an Insta pic, and A-Rod didn’t pay for a professional photographer to capture the moment? Heads would be turning. Luckily though, A-Rod thought ahead and someone was there to capture the momentous occasion – providing them (and us) with some stunning photos. The Love Don’t Cost A Thing singer took to Instagram to share the pictures with her 88.6 million followers, but kept the message simple. In the photos, J-Lo can be seen covering her mouth in shock as she looks down at her new fiancé, who looks up at her proudly. Both are wearing white (very fitting) and look madly in love. 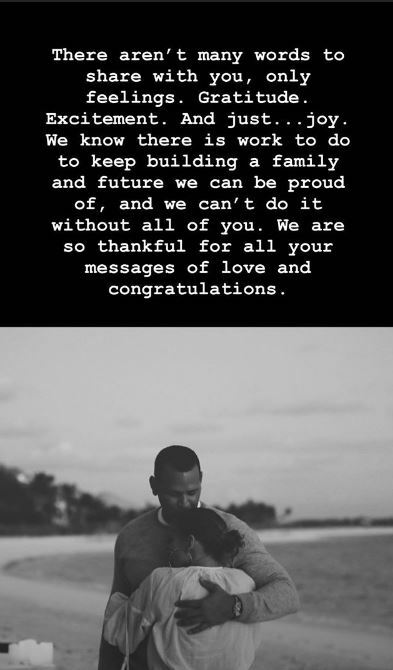 A-Rod shared a heartwarming message on his own Instagram at the same time, posting a different picture to his story alongside a caption which thanked their fans for their words of support and love. There aren’t many words to share with you, only feelings. Gratitude. Excitement. And just… joy. We know there is work to do to keep building a family and future we can be proud of, and we can’t do it without all of you. We are so thankful for all your messages of love and congratulations. The happy couple seem to be shrugging off accusations made by A-Rod’s former fellow New York Yankee Jose Canseco recently, who suggested he was cheating on J-Lo. Neither A-Rod or J-Lo have so far commented on Canseco’s accusations.